We recently visited the ABC (All Baby and Child) Kids Expo in Las Vegas. It was a fantastic experience. The ABC show has been around for a number of years and features thousands of vendors showing off their latest and greatest offerings to buyers and the media. 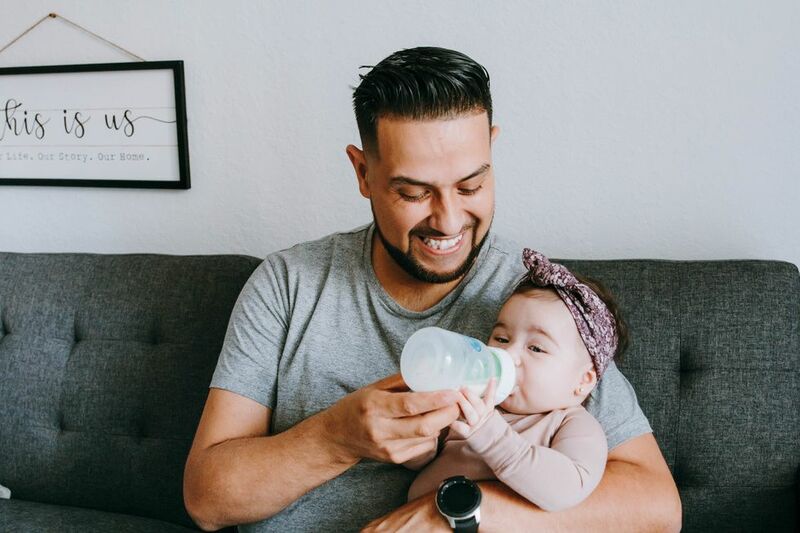 Most of the vendors were focused on pregnancy or the first couple years of life, so the majority of these products are designed for that phase of your family’s life. We spent time with a bunch of these vendors and did Facebook Live segments with some of the brands we thought were doing really interesting things. This Top 10 roundup includes some of these folks and some others we just happened to think were onto something special. Without further adieu, here’s the list. Our number one spot goes to Austlen Baby Co. They have a new stroller called the Entourage and the thing is rad. It’s expandable, can carry a couple hundred pounds, and they have so many thoughtful accessories that can turn this stroller into just about anything. 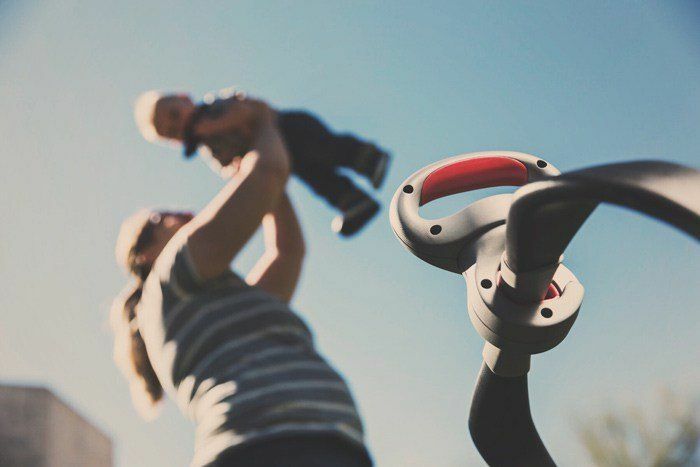 We got a full demo of the Entourage from the company CEO and her passion for creating so much more than a way to push your baby around really shined through. Although it works in just about every scenario, we imagine that the entourage would be most appealing to folks living in a urban environment who spend a lot of time walking from place to place doing errands. Hands down, this stroller is the most versatile baby transport system we’ve encountered to date. There were so many great offerings at the show that we could have had our top 30 picks, but we’ve added these nine other products that we think are tapping into something neat. Bloomlife is a pregnancy tracker that’s focused on tracking contractions. This can be super helpful with all sorts of things, not to mention helping to determine with your obstetrician if you’re experiencing Braxton Hicks contractions. 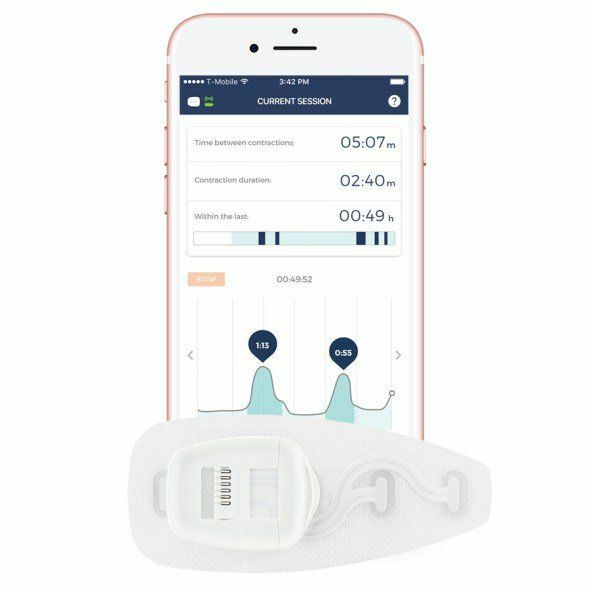 It’s a stick-on and reusable wearable that uses some pretty unique technology coupled with a mobile app. It allows for more than one user, so your partner can also stay in the loop. 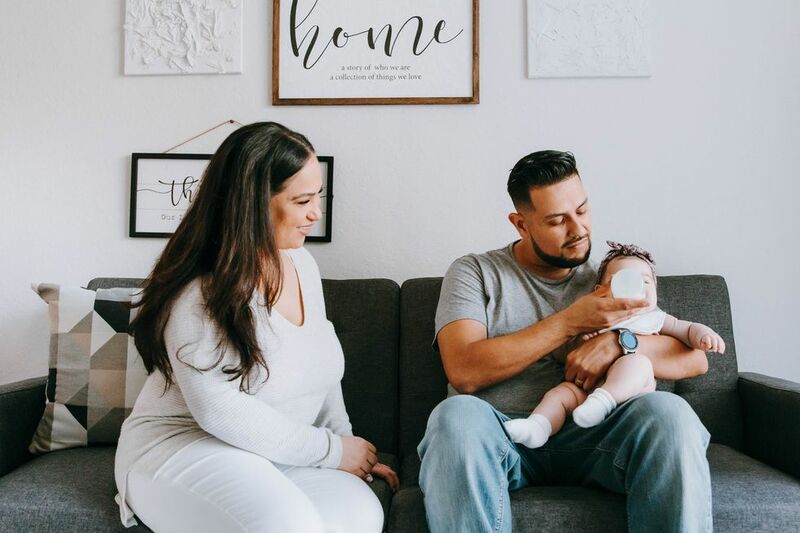 Not only is the product really sweet, but these guys are just starting out, so now is the time to get involved in their beta program if you’re pregnant. We were genuinely impressed with their excitement about what they’re doing and their understanding that the technology they’ve developed could have big-time implications as they grow. Nice job guys! Giggle has been around for a while, but when we met with CEO Beth Guastella we were blown away by her enthusiasm for what they have going on right now. They recently launched a new product line of lotions and potions for babies and toddlers. We tried out the sunscreen and it rubbed into the skin so well it was amazing. Most kid sunscreens spread about as easily as refrigerated butter, but putting this stuff on won’t send you into battle mode with your toddler. The packaging looks amazing and will fit in nicely with any bathroom decor. Plus, the products smell great – nothing overwhelming, just pleasant. WavHello is a cool company that makes all sorts of audio goodies for your little sprout – like their belly buds that allow you to play music to your unborn baby directly through your belly. The product we really liked was the SoundBub. This cute portable Bluetooth music player connects to any Bluetooth-capable device so you can play tunes for your little one while they sleep or while you’re on the go. With its VoiceShare mobile app, you can record your voice and play it through the SoundBub remotely. We thought this was super cool for the on-the-go parent who wishes they were there for bedtime and soothing. Not only does SoundBub help with on-the-go connection, it’s also almost indestructible. Your little one will love chewing on the ears, hands, and feet of their favorite character. Parent Co. is based in Burlington, VT and we’re known up in these parts for our active lifestyle – lots of hiking, biking, skiing, and of course camping. This portable and rechargeable monitor from Summer Infant is perfect for the new family that doesn’t want to lug around their plug-in monitor and those brick-sized plugs that generally come with them. Simply download the app and connect the camera to get audio and video directly to your phone without the need for WiFi or a cell connection. It has a four-hour battery life which hopefully is enough to get your little one down or stay in touch during a nap. We love this monitor because of its many practical applications for new parents. It’s perfect for a trip to the in-laws, a visit to a friend’s house, or a night out in the woods. 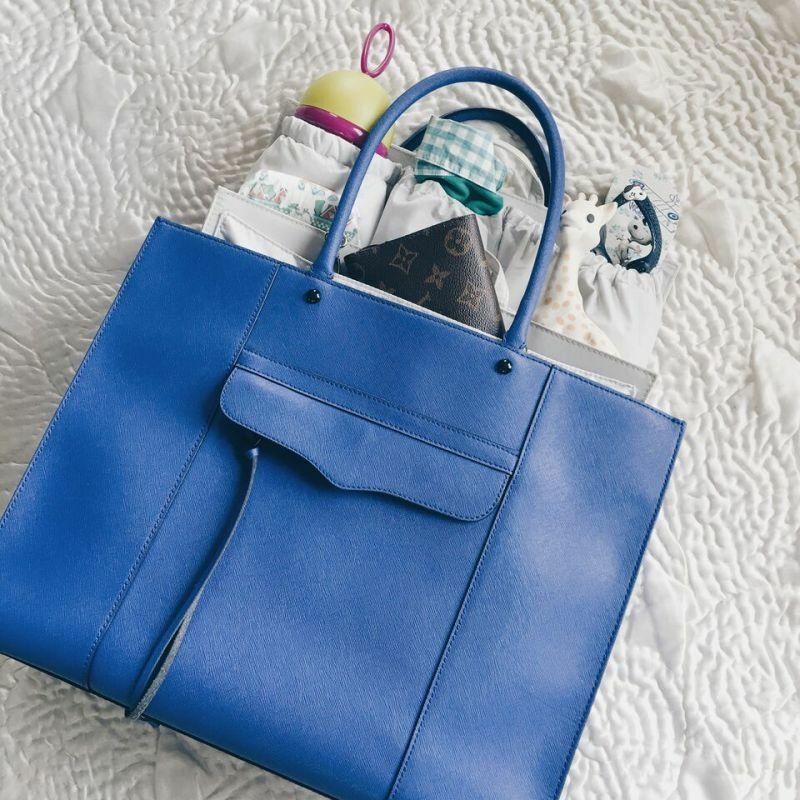 We met Lauren Kutting, the founder and CEO of Life in Play Company and she gave us a demo of her simple but brilliant idea called ToteSavvy – a bag insert that turns any handbag or backpack into a diaper bag instantly. This nifty insert comes in big and small sizes and allows moms to carry their favorite bag without sacrificing style for utility. It’s not always mom carrying the diaper bag around, so this invention is perfect for dads, too. Simply pop ToteSavvy into your messenger bag or backpack and you’re ready to roll. We really loved this because it’s such a simple solution to something that all couples deal with. It makes transferring your baby (and all the stuff that goes along with your baby) between parents quick, easy, and stylish. Nice work Lauren! Just Born has been a trusted manufacturer of very high quality baby products for over 80 years. Recently they’ve been focused on creating pieces for babies that are gender neutral. 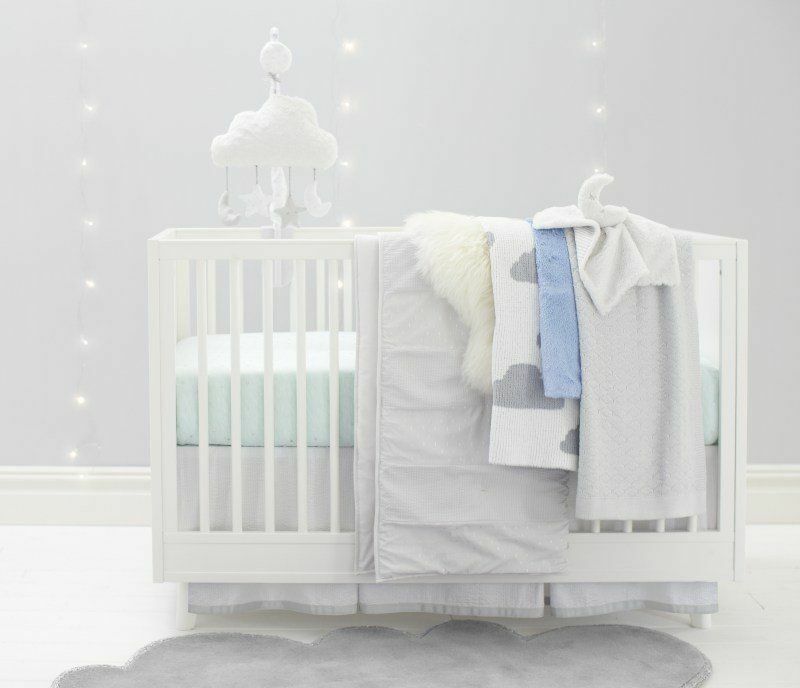 Their Sparkle Collection consists of bedding, accessories, blankets, bath accessories, and toys that aren’t your traditional pinks and blues. This is particularly appealing for expecting parents who’ve chosen to keep their baby’s gender a surprise. When you look around the roads in Vermont, you’ll see a Thule roof rack on every other car. One would think that our tiny state must be the outdoor activity capital of the world. Well, we’re not far off. Little did we know that Thule has been expanding their product offerings well beyond bike, ski, and kayak racks. The aptly named Chariot is one rad piece of gear. 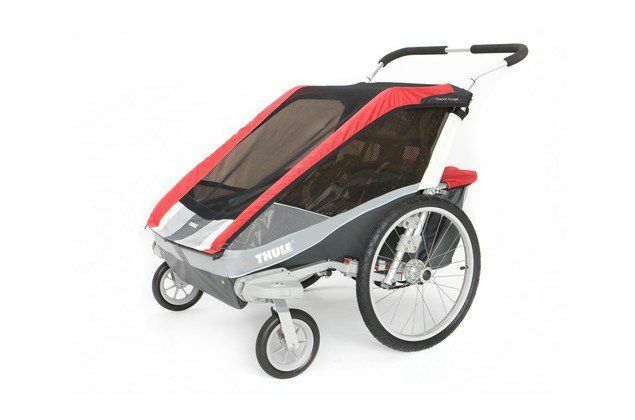 It’s incredibly versatile and can be used in a myriad of ways including stroller, bicycle tow behind, and a running or skiing tow-behind. You can even mount skis to this thing and rock out with your little sprout on your favorite cross country track. What makes the Chariot Cougar 2 one of our top picks is this versatility. Too many of us go out and buy a whole bunch of kid transport items like a bike seat. Thule has come up with a product that’s truly universal and we dig it! There are an endless number of products available to help you pack your little one’s lunch. From bento containers, to the plain brown paper bag. Although some of us long for the simpler days when pulling a peanut butter sandwich out of a brown paper bag was completely acceptable, there’s clearly a better way. Wean Green makes eco-friendly tempered glass containers in a ton of sizes that fit nicely together and they’re virtually indestructible. 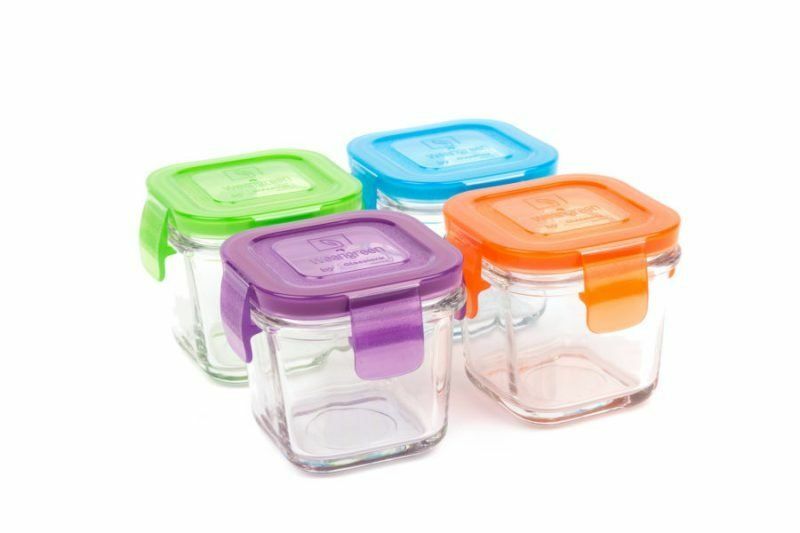 We love that they’re dishwasher and freezer safe, and they look great, too. In a demo at the Expo, we watched them drop these containers on the floor and shake them with liquid inside and these things held up to it all. Nice work, Wean Green! If you’ve carried a baby in a car seat for any length of time you’re keenly aware of the forearm burn that goes along with it. Lug Bug makes the experience of carting your tot around much less taxing. All baby car seats have a carry bar, but unfortunately, they’re not set up properly for any kind of extended carrying. 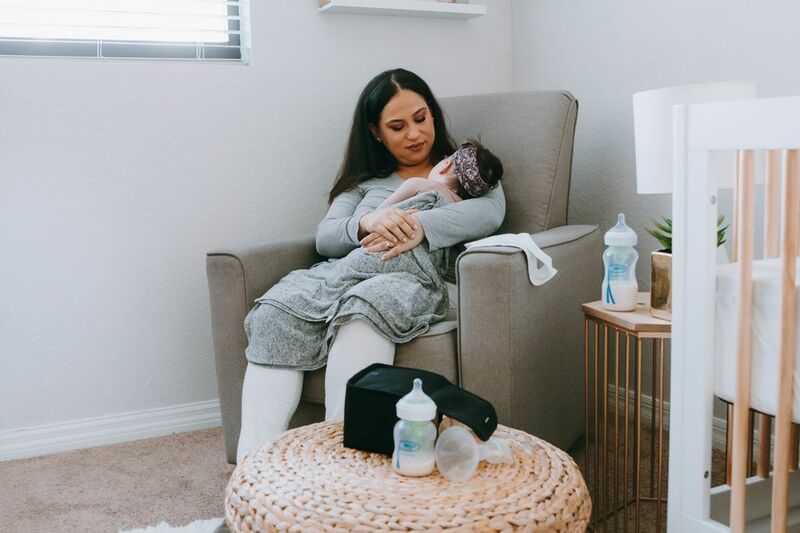 Your arms are forced into a completely unnatural position and you quickly find yourself constantly switching hands and positions if you need to carry your tot for more than a minute or two. Lug Bug is fully adjustable and allows you to carry your car seat while keeping your forearms from exploding! We love that two dads saw a need for something in the market and built a product to address that need. So many folks have a great idea and then just assume that it’s already been done, or that it’s too much work to get started. Well, it is a ton of work and these guys have pulled it off.